MIDDLE SCHOOL AND HIGH SCHOOL STUDENTS FROM BRIDGEHAMPTON, HALF HOLLOW HILLS, KINGS PARK, NORTHPORT-EAST NORTHPORT AND PATCHOGUE-MEDFORD. Nancy Hemendinger, (pictured above left) Director of School Education, Suffolk County Department of Health Services welcoming the day’s participants. 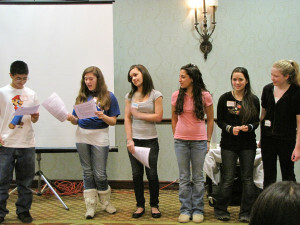 Students (Pictured Above middle and right) critiquing advertisements and creating skits, poems or songs with a “Sun Safe” message. 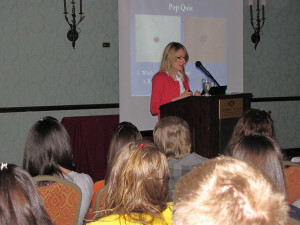 Dr. Jennifer DeFazio (Pictured Above Left), of Memorial Sloan-Kettering Cancer Center Dermatologist, provides important background knowledge to students. 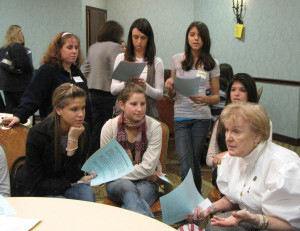 Colette Coyne (pictured above middle) of the Colette Coyne Melanoma Awareness Campaign working with students as they prepare to voice their position during the Mock Suffolk County Legislature Debate on rescinding existing tanning parlor laws. Students (pictured above right) describing their plans for lesson implementation. 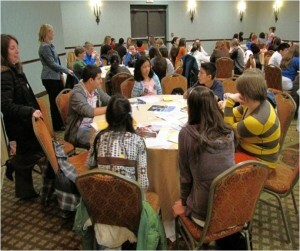 Dr. Martin (Pictured above left) and Linda Boeman (Pictured above right) participate in the teen training. 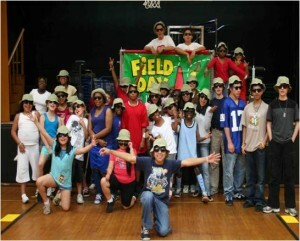 UNDER THE DIRECTION OF THEIR ADVISOR, NANCY BUTLER, 8TH GRADE STUDENTS (pictured Below Left) FROM CANDLEWOOD MIDDLE SCHOOL DEVELOPED A GAME SHOW TO TEACH 6TH GRADERS IN THEIR SCHOOL ABOUT SUN SAFETY. A PEER EDUCATOR (Below Right) ASSISTS A 6TH GRADER IN FASTENING A BRACELET WITH UV-SENSITIVE BEADS. EACH STUDENT IN THE CLASS RECEIVED A BRACELET AS A REMINDER OF THE SUN’S POTENCY. 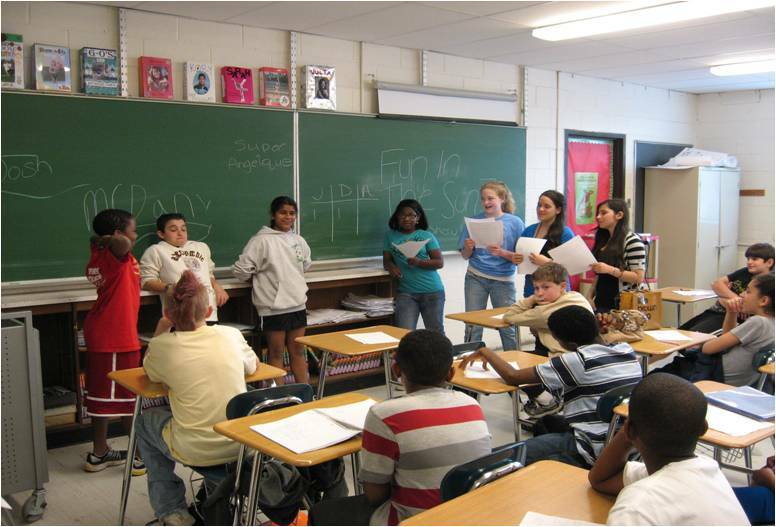 An integral part of CCMAC’s community education initiative is to educate the youth at the middle school and high school levels. Developing sun smart behavior early in the lives of our youth is as important as changing the not so Sun Smart behavior of others. 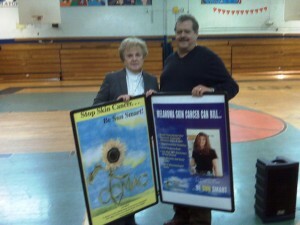 CCMAC presents at various schools across long island, enabling the student body to hear the Sun Safety Message and view their own damaged skin using a Derma Scan (pictured below left). Students, often shocked at the visible image of their own damaged skin, vow to avoid tanning bed use and unprotected sun exposure. 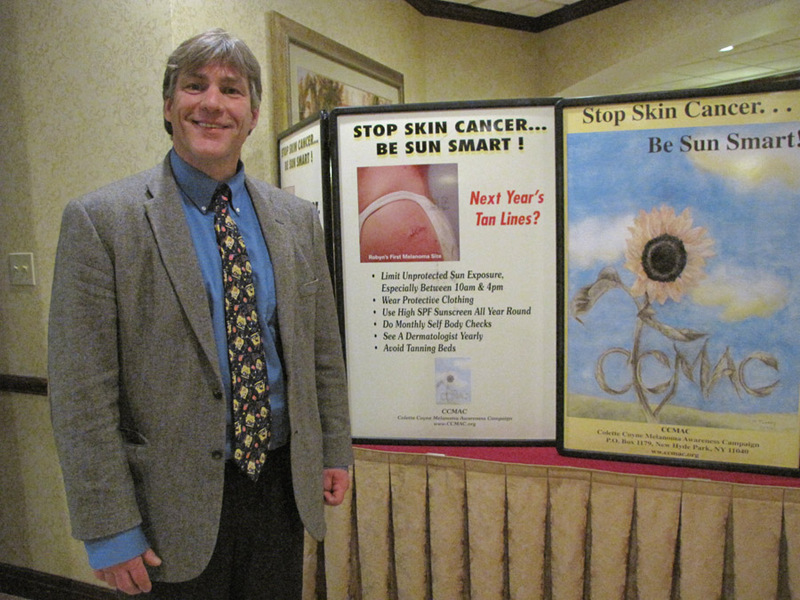 Many realize the importance of the daily use of sunscreen. 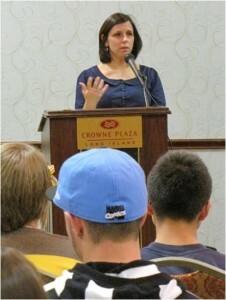 More than 9000 students on Long Island were educated throughout 2009. 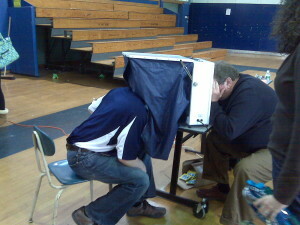 Pictured below (L) Donald Gleason a Melanoma survivor working the Derma Scan Machine at the New Hyde Park Memorial High School, and pictured below right, Colette Coyne and Donald Gleason at Hewlett High School. Ann McDermott of OSI Pharmaceuticals facilitated a partnership between Commerce Plaza and CCMAC. 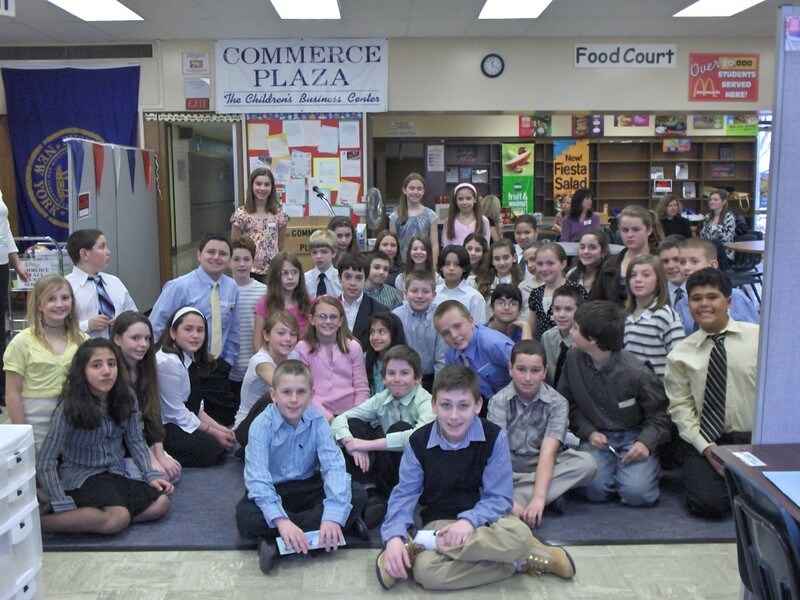 Through its program students from middle schools across Long Island participate in real-life simulation of the business community. Students “work” in their chosen field, some as bankers, news reporters, others researchers just to name a few. One of the “Laboratory Experiments” of future researchers enables them to view the intensity of UV Rays and the effect on color sensitive materials. “Student Researchers” also do peer education regarding the results and conduct a Sun Safety Survey of other student/employees. 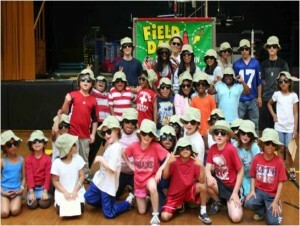 Over 4000 participants took their “Be Sun Smart”® knowledge back to school districts across Long Island. Thanks to the OSI Foundation, a valuable educational opportunity regarding business, finance, health and Sun Safety is provided to these students.